Kuala Lumpur, October 2014- In conjunction with the largest Chinese Carnival Yuan Carnival 2014, a special session of interview with Hong Kong TVB artistes including Nancy Wu胡定欣, Edwin Siu 蕭正楠, Eliza Sam岑麗香 & Benjamin Yuen袁伟豪was held a few days ago. Our team from wljack.com & loong-updates.blogspot.com was given an opportunity to do a coverage on the event. Interview With Hong Kong TVB Artistes! Getting Updated With Their Current News! The interview was held at meeting rooms at Sky Park, One City. The four prominent Hong Kong artistes have attended the interview and chatted with the media members like friends. Eliza Sam Latest Role in Drama! 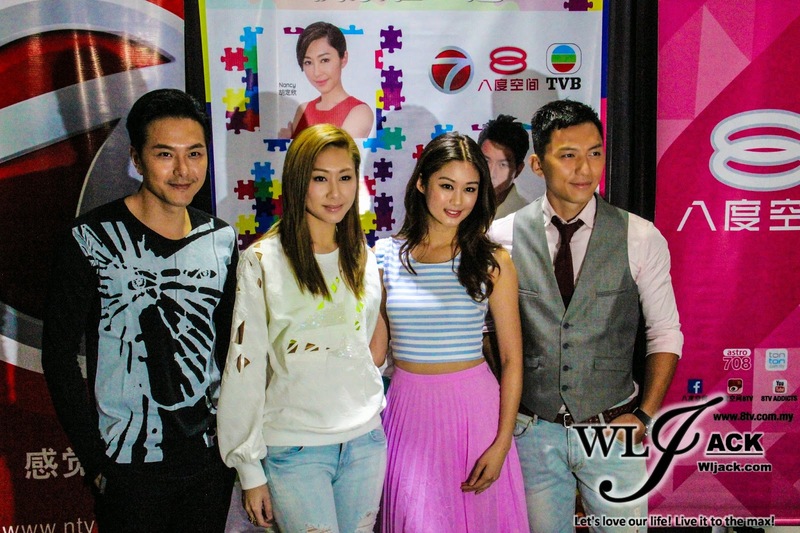 Eliza Sam has shared with us regarding her upcoming drama role. She stated that she has always been playing the characters that travelled from some other countries back to Hong Kong. This time around, she finally has the chance to play a character that travelled from her original country Canada to Hong Kong. Besides, she also shared about her role in Hippocratic Crush 2. She said that the character in that drama has a lot of similarities with her old friend. Through this drama, she could learn how to become an optimistic person. A Holiday For Benjamin Yuen! Great Relaxing Time! Benjamin has shared with us that he was currently on a holiday until October whereby he would be taking part in a modern drama. The modern drama is about the police story and will be revolving around traffic issues as one of the theme. Currently, he’s enjoying his holiday like the students who are having a study break. He could finally spend some time to enjoy and relax for a while. Edwin Siu’s most memorable roles in the recent years! 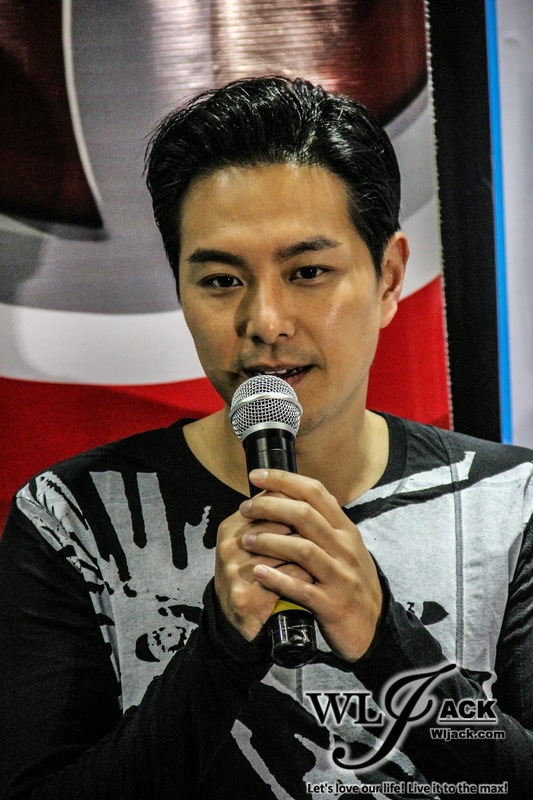 During the press conference, Edwin told the media members that his most memorable and favourite role in the recent years is the character he played in Brother’s Keeper. The drama main challenge was that he has to act as a character from his teenager years till 40 + years old. Although the drama is only 30 episodes long, he has many different costumes, make-up and outer appearance which fit his chronologically aging character in the drama. It was very memorable experience for him as this concept made him and the other cast members felt as though they have known each other for quite a long time. Besides, the character itselfalso has similarity with his younger self who is always believe in dreams and never give up in his goal. Nancy Wu’s comment on her role as Anson (Mrs. Cheuk) in The Ultimate Addiction! One of Nancy Wu’s recent role in TVB drama is being Mrs. Cheuk in “The Ultimate Addiction” whereby she acted as the wife for Bosco’s Cheuk Yuk. That role has made her grown even more in her acting career. In addition, she stated that she would be interested to take part in comedy drama. She said that she’s trying learn more about comedic element by mingling more openly and less seriously with her friends. All the artistes sent their congratulation wishes to Sharon Chan! Apart from all these mentioned above, the four artistes also sent their best wishes to Sharon Chan who just got married recently. They have also had a meet-the-fans session after the press conference and they have also performed during the Yuan Carnival 2014. The coverage of the carnival will be up soon.